Long Life and Fast Grinding! A double row of diamond segments provides more surface contact with the material for a smoother finish and extended life. These cups feature a high diamond concentration segment on a balanced steel body for long wheel life. 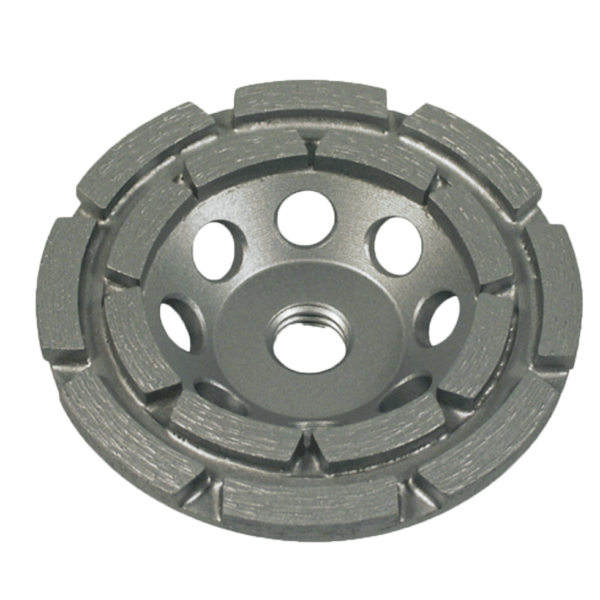 Available in 4″-7″ sizes with threaded or non-threaded arbors.